Wrecking Ball Tour called Florence (Firenze) on June 10th 2012. 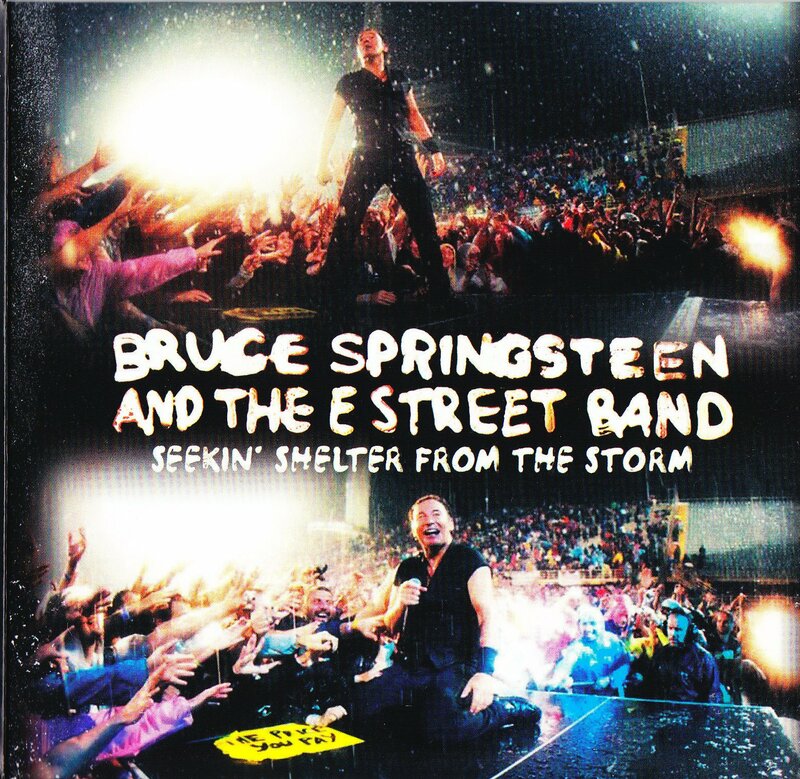 Seekin’ Shelter From The Storm is the bootleg published by Godfatherecords and it contain all the 30 songs played by Bruce Springsteen and the E-Street Band plus five bonus tracks. 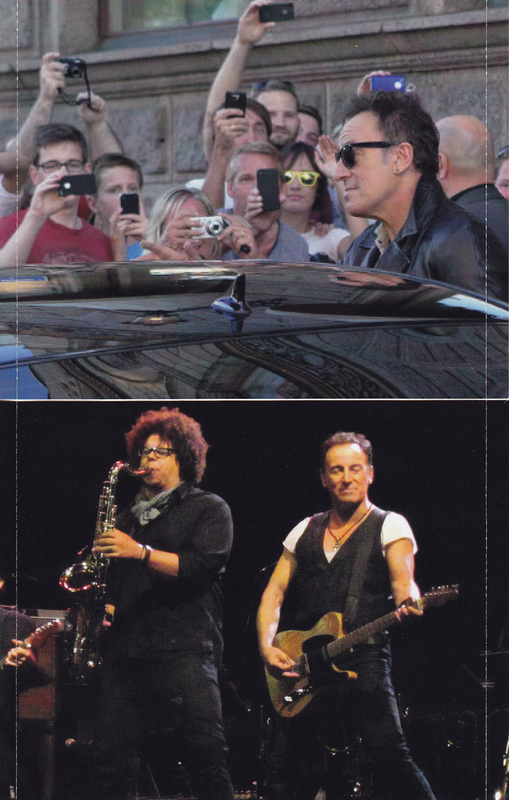 Springsteen played Blinded By The Light Light during the pre show in Helsinki on July 31st 2012. 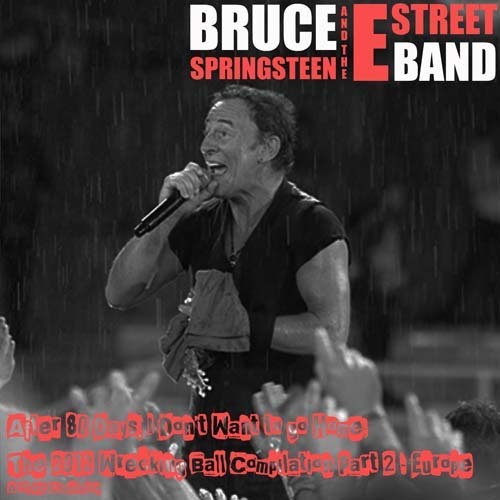 Pare che Bruce Springsteen abbia accolto poche richieste, nel suo concerto con la E-Street Band di ieri sera a Gothenburg, terzultima tappa europea del Wrecking Ball Tour. Ecco la scaletta, presa da Greasy Lake. Rocking All Over The World has been played as first song in Helsinki during the Wrecking Ball Tour On July 2012. Ah one more time belissimo, come on! 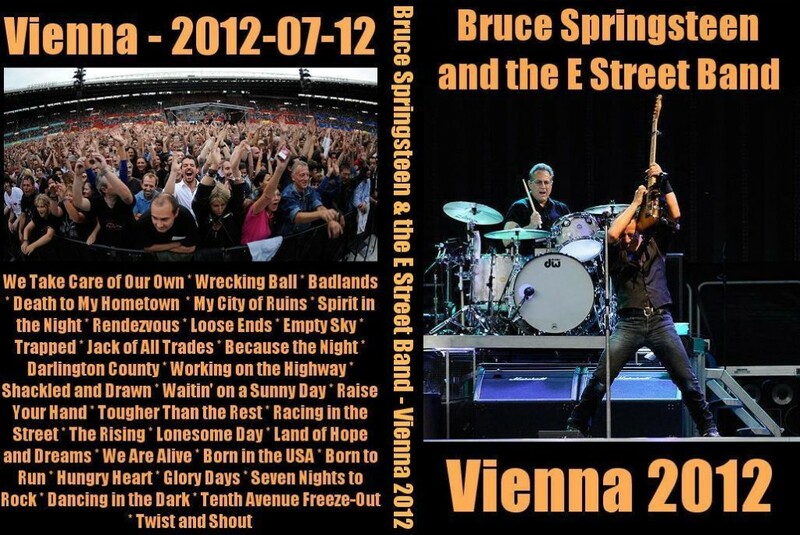 Bruce Springsteen and the E-Street Band played in Wien during the first European Leg of the Wrecking Ball Tour. This bootleg DVD (two discs) is a collection of youtube’s videos. During the concert Springsteen picks up my request (Racing In The Street) as the previous night in Prague. 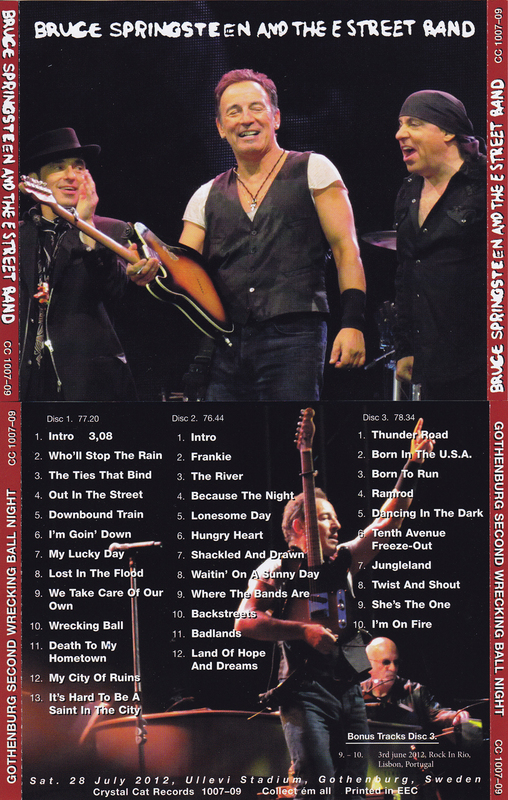 Bruce Springsteen and the E-Street Band played four songs during the Concert For Sandy Relief at the Madison Square on December 12th 2012. Jon Bon Jovi sang, as guest, on Born To Run. Bruce Springsteen and the E-Street Band played in Gothenburg for two nights during the first European leg of Wrecking Ball Tour. This bootleg – Gothenburg Second Wrecking Ball Night – published by Crystal Cat with CC 1007-09 as catalogue number is an alternative version of this unofficial recording. The original setlist and video can be found here.